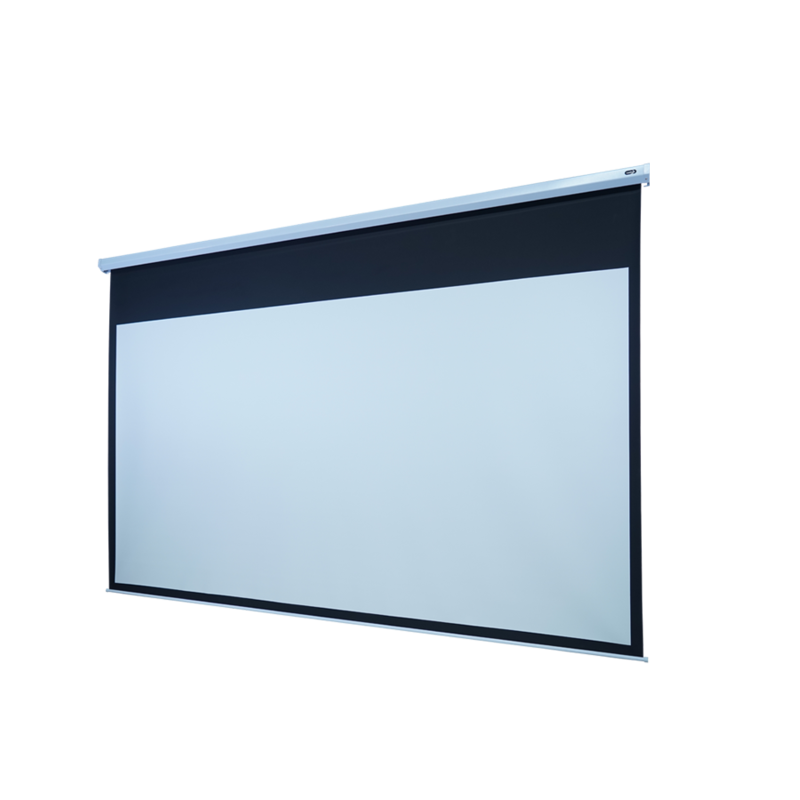 EluneVision Professional large motorized screens have a sleek, white solid-steel housing that is attractive and highly durable. Our professional housing is specifically designed to stay strong for years under constant use. Clearly marked and easily accessible limit switch adjustment holes allow adjustments to be done in a snap. A special limit control tool is included with your screens to make this process as simple as possible. 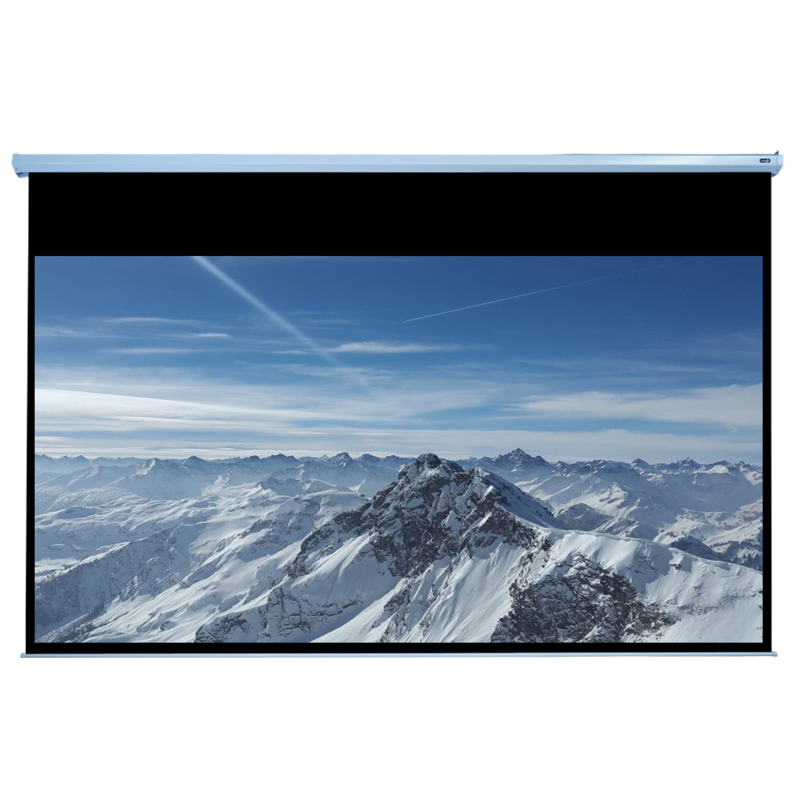 Our Professional Large Motorized screens use an extremely durable, heavy duty, triple layered material. 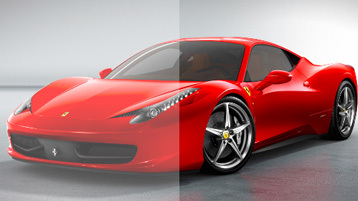 The first layer is consists of the optical viewing surface, which is available in any one of our five materials. 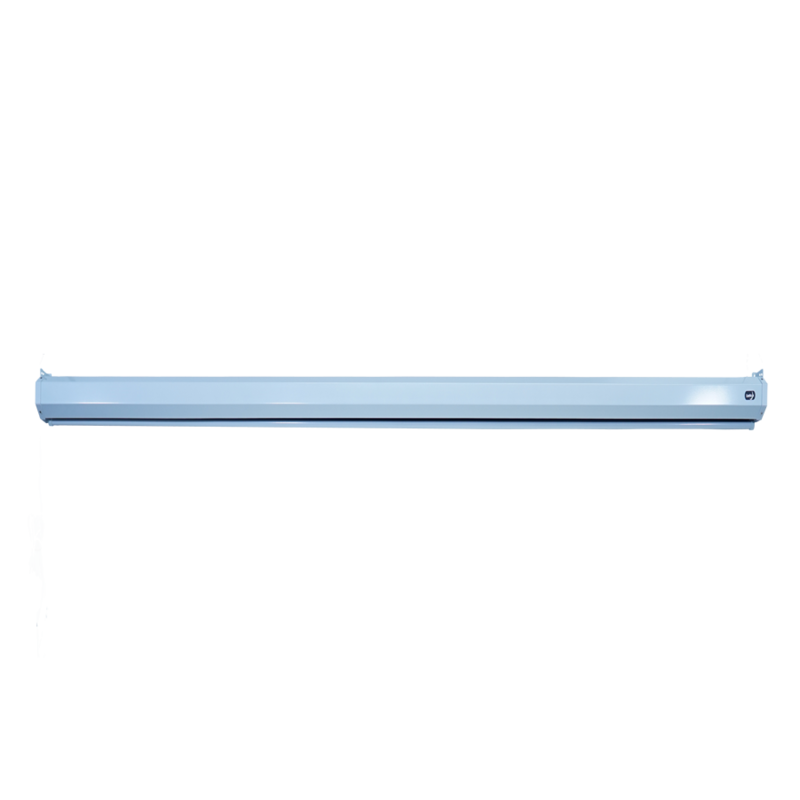 The second layer is a thick fiberglass layer giving the material strength and durability. The last layer is a fully black material that is opaque to all visible light. EluneVision’s Professional Large Motorized screen comes with a professional On-wall control panel, RF remote . This ensures our screens can be operated under a variety of situations with the upmost ease. 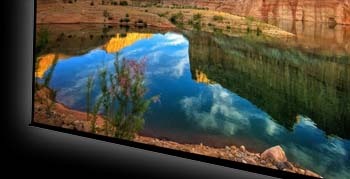 EluneVision’s Professional Large Motorized screens are designed to be hung on the wall or fixed to the ceiling. Installation of the screens is easy and extremely fast. 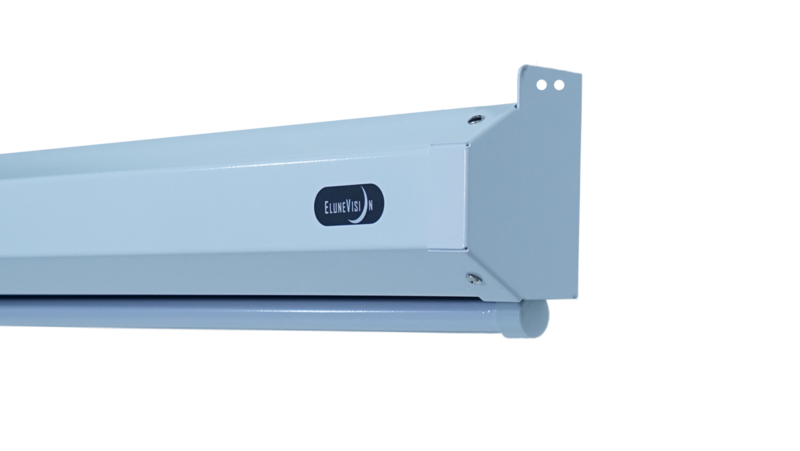 The mounting end-caps support ceiling mounting, chain mounting, and wall mounting. 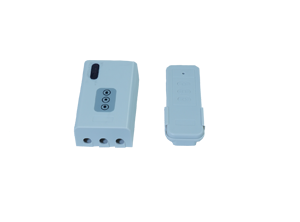 Furthermore, all our screens come with remote control, wall panel and 110V power plug for plug and play operation. 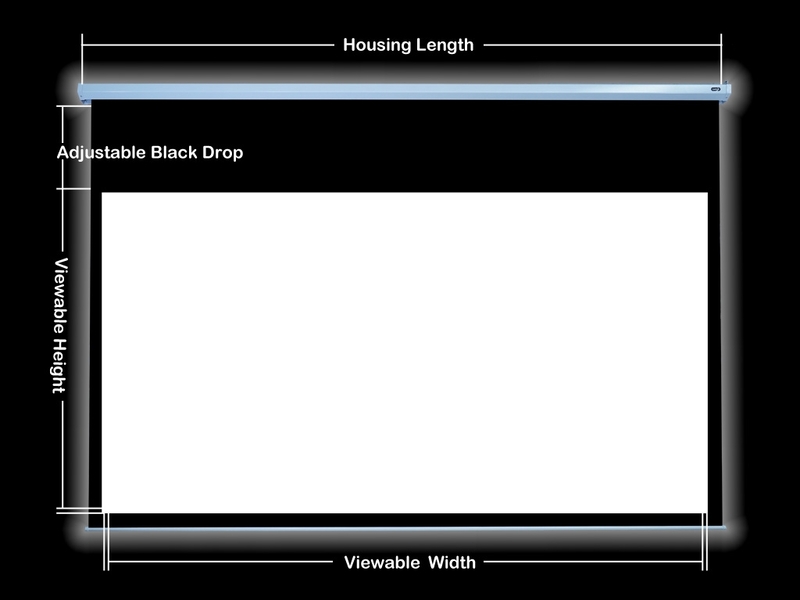 Screen Size: Select a size150"165"180"200"220"260"300"
A screen designed to work best for big audiences. 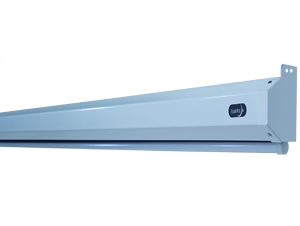 Built to deliver high-definition content to every person in the room, your viewers will live the experience of a lifetime with a screen that offers an immersive performance from every corner.